Finding the right way to build a sustainable digital marketing strategy isn’t exactly a piece of cake. A year and a half ago, there were just a handful of us making up Hubstaff’s team. We were constantly juggling between long lists of tasks that needed our attention. While we did want to fuel our marketing efforts, in reality, we were too focused on just sustaining our business. This situation is probably familiar to many of you. When you’re bootstrapping to the max during the early days, marketing looks more like shooting in the dark and waiting to see if you hit something, rather than a structured process. Still, when things got a bit more stable for us, we realized that we needed to use a more systematic approach. That’s how we would be able to identify the marketing methods that work for us so that we can invest in them and scale them to sustainably grow Hubstaff. But structuring your marketing efforts can be tough. After some trials and errors, we figured out a 7-step process for developing marketing strategies. That’s what I’m going to share with you here so that you can also use it for your business’s growth. In short, instead of having different people taking on various functions at the same time, today every member of our marketing team owns specific channels. For example, I am in charge of integrations and search marketing, while my other co-workers are running the blog and customer communication. Using our tighter control over the channels, we’re constantly running marketing experiments. We often test what works and what doesn’t, and are trying scalable variations of successful experiments to reach our business goals. After scaling four experiments, two of which proved successful (and the other two of which failed), I built this step-by-step marketing strategy process that I follow at Hubstaff. It can help your marketing activities by structuring your efforts. Let’s say that you already have ideas for one of your marketing channels. To save resources and be sure it is worth your time, it’s a good idea to ask yourself three questions before you start exploring it. #1. Is it worth scaling up? 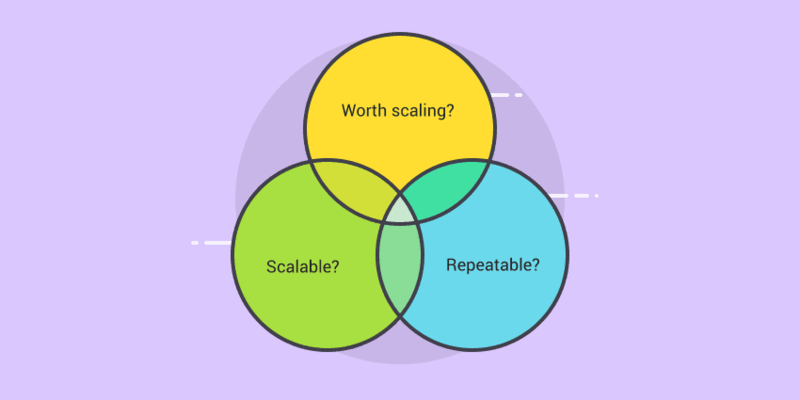 The way to assessing whether a channel is worth scaling up is by tracking time on your marketing tasks related to it and expenses on it such as employee salaries, designer fees, and/or tools fees. Then you juxtapose this to the number of customers you get from this strategy. This way you can identify your customer acquisition cost from this particular channel. Then you need to see whether the lifetime value of those customers is three times greater than the costs of acquiring them (standard SaaS rule). Is the ROI great? If yes, go for it. We use Hubstaff to track time spent on a strategy and compare that data with revenue generated to measure ROI. #2. Can it be scaled? The next question you should check is whether there are enough opportunities in this channel to scale up. For example, if you are doing sales outreach in a very specific or small industry like aircraft utilities, you know the number of clients are limited (let’s say 500 people). Each client may be bringing you a good ROI, but you can’t scale your sales strategy indefinitely. But, if you are using the same approach with a bigger audience such as small businesses or remote workers, things look differently. You’re not likely to experience a shortage of leads, which means you would be able to drive sustainable revenue from this strategy. Last but not least, you should check whether you can build a repeatable process for the strategy. This will ensure the process will remain autonomous and function smoothly regardless of your availability. Making a scalable online marketing strategy involves creating a thoroughly described process that has all the necessary documentation in one place. At Hubstaff, we use Google Drive to keep track of all our processes’ information. Your process documentation needs to be written in a simple and accessible way, giving the most basic instructions. Initially, I had made the descriptions way too complicated, but thankfully, my co-workers pointed this out, so I spent a whole day simplifying them. Want to see a simple, real-life example of the documentation of one of our processes: Check it out here. At each step of the process, you should ask yourself one question: is this step completed? And there should be only two answers to it: yes or no. This makes it easy for any other team member to follow the clear steps. Once you’ve documented your strategy as clearly as possible, you can also create training videos. This would make the processes easy to understand and implement by any team member, without the need for one-on-one training chats or calls. Your team members can watch the videos at their own convenience and understand the steps at their own pace. The training can take the form of a live walk-through in the video. Monosnap and SRecorder are great tools for creating your training videos. The next step in building an effective scaling tactic is actually doing the process yourself for a week. This is the only way to identify possible difficulties that other team members might face when following the process. When you start applying the strategy, start listing the problems you have encountered. What’s next then? You need to find solutions and explain thoroughly how your teammates can overcome the common issues they might face. Such a real-life analysis can give you a reality check on the process. It’s likely that you would have never anticipated these problems when building the process. But once you identify them by testing the strategy yourself, you can predict common pitfalls and help your team members in advance. Tracking whether a certain strategy is effective – and whether the person executing it is as productive as possible, you need to create benchmarks. Simply put, this means you need to set how much work should be done in a particular week and then come back to check whether their performance is solid. How do you know what benchmarks to create? Well, you need to start by tracking progress on the task yourself. How much can you get done in a week? We use Google Sheets to document this. Later on, when you transfer the process to another team member, you can use that number as a loose benchmark or range for them. Let me share my own marketing strategy example. In our cold outreach processes, one of my team members needs to collect contact details of influencers. After working with her for a couple of months, I’ve identified that she collects data on about 30 influencers each week. That’s the benchmark I’ve set. If she collects 20 influencers on a particular week, we check what the reason is. If she collects 40, I thank her for her hard work. It helps both of us to determine if her work in a particular week is successful or not. But besides looking at the numbers only, benchmarking can help you dig deeper into the reasons why certain processes succeed or not. Here’s another real life example. We are running a link-building process and a team member has to collect a number of links each week. During the first six weeks, we had set a benchmark of 30 links per week. In this case, the reason why Mary couldn’t reach the weekly target was because she had to use a part of her time to train a new team member. This illustrates that you can’t make conclusions only on the basis of numbers. You need to explore in depth why a number has changed and to see whether it is something temporary or not. At Hubstaff, these benchmarks also allow us to continually improve our processes’ efficiency. Consequently, our benchmark also keeps changing. Setting a benchmarking system can additionally help you to judge whether the results from using certain methods are worth the effort. It can get you closer to answering what you define as successful and what not. But don’t forget that over time, it’s also important to identify even more meaningful benchmarks. In this particular process, let’s say if the quality of links collected is not good, then it’s useless to track these numbers in the first place. To ensure quality over quantity, you need to dig deeper. In this particular process, what you measure could be the number of good links and bad links OR the number of relevant and irrelevant links. The process of step #4 is straightforward: you identify your true success metrics, set benchmarks and continually improve them over time by optimizing your strategy. After you have documented and tested the process yourself and set benchmarks, it’s time to try out the process with another team member. It’s important to keep in mind that people would usually need two to three weeks to master the process. This means that if mistakes happen, it’s only understandable in this timeframe. Remember to be patient with them as they’re taking the load of your job duties and helping to scale up your strategy. For a certain individual, understanding the process can be easier or harder than for others. During their training and first weeks of applying the process, you will likely observe this. Make sure you stay available during this time to fix any complications this team member faces while executing the steps. As for auditing, it’s a good idea to check on people more often in the beginning and then slowly reduce the frequency. But you should never stop auditing. Why? Even if people have grasped the steps, they might be incorrectly following a process at some point. It’s also not uncommon for people to miss a couple of steps in the process, even if they’ve learned them. Or sometimes team members might just omit some steps to cut on the workload. In our case, I do a random audit every couple of weeks. Not surprisingly, some new challenges do spring up from time to time. The next step in scaling your marketing strategy is to onboard all relevant team members in their respective processes. As in testing with one team member, first allow people to go through the training on their own and grasp the steps at their own pace. Next, connect them with the team members that are already using the process. In this way, new team members can refer to the already experienced ones for any questions and doubts they might have. This approach is useful on many levels. First of all, the more experienced team members will be in a better position to answer the new team member’s issues than you. They probably faced the same situations when they first started out using the process. Besides this practical aspect, you’re also giving experienced team members an opportunity to become mentors and train the new ones. That’s valuable experience and an opportunity for professional growth for them. Last but not least, this saves a lot of your own time. By using this approach, I can truly focus on managing the processes and aligning them towards our yearly business goal. Undoubtedly, you should always be available if people who are learning a new process have any questions that the other team members can’t help with or aren’t available at the moment. And the last note – always keep refining the language of the documentation of processes. This is a tried-and-true method to answer the most common issues faced by new team members. Scaling your marketing processes involves listening carefully to what team members using them have to say. That’s the way for me to continually keep increasing our numbers month over month. It’s useful to ask yourself the question: Can I equip them with tools that can help them become more efficient? But to know what people need, you have to listen to the problems they have faced and the solutions they have found. For example, at some point we decided to use certain tools in our process to improve efficiency. This decision helped us double our benchmark the next week. The key to unprecedented growth is to keep collecting feedback from your team on how the process can be improved and made simpler for them. Sometimes the ideas suggested are really good. 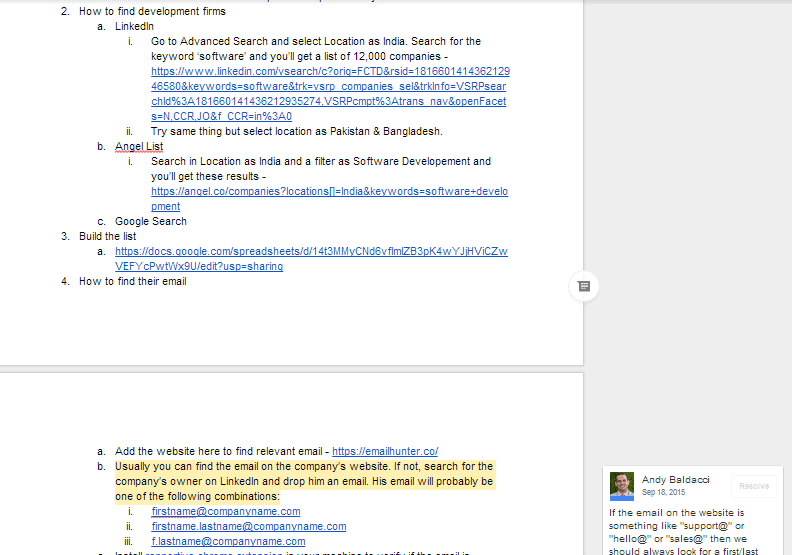 For example, one of our teammates suggested color coding in our content promotion process sheet. This reduced confusion about the progress on different posts. Besides feedback from team members on the processes they’re following, sharing your experience with your fellow channel owners also helps improve the work of all of you. The exchange can truly boost your individual efforts. In my case, for example, Andy (who also hosts Hubstaff’s podcast) and I exchange our thoughts on how we can improve our respective processes. This is truly enlightening for both of us because we get valuable information and a fresh perspective on our everyday tasks. Recently we shared insight on how we could build relationships with our audience on a more macro level. Andy’s research on the topic saved me a ton of time in researching for tools and ways to implement it in my own process. Clear win! Additionally, our co-founder Dave regularly advises me on improving my processes in our quarterly meetings. Such feedback is truly valuable for evolving our strategies and processes. My experience shows that within a few months, you should be able to refine the process and optimize it with the help of input from the people executing the processes. Even though it can be tempting to stick to settled methods, these processes need to continuously evolve. They need to adapt to changes in team size, business goals, effectiveness of the channel and ROI, among others. Remember that this is a continuous cycle. To illustrate this: one of my channel’s processes has developed from a one-page checklist in early 2015 to a 16-page guide today. Scaling marketing processes effectively takes maturity, time and a lot of experience. But at the same time, it pays off greatly and can lead your business to super-charge your growth in no time. 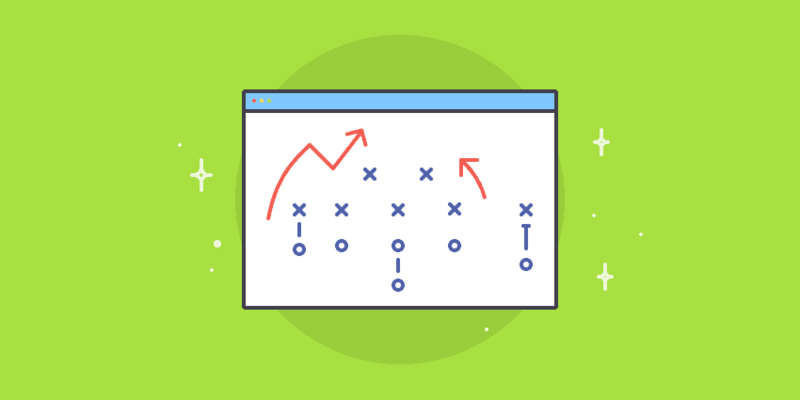 Following this 7-step process and instilling the right mindset in your team, you’d be on your way to scale your most profitable marketing tactics and skyrocketing your company. What steps do you use with your team to scale your marketing strategies? We’d love to exchange know-how in the comments!